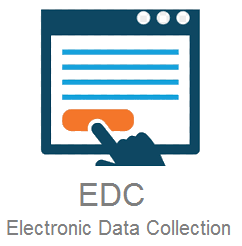 CLIRINX EDC (Electronic Data Collection) provides a suite of software products to support web-based data collection on your clinical research study. It consists of a clinical trials management system (CTMS), a CRF/Form Designer for electronic data collection (EDC) and an electronic patient portal (ePRO). The web-based CRF/Forms Designer is probably the most sophisticated forms designer available. It caters for the typical question types, and also has novel question types, like table-based questions (combination of text/radio/dropdown/checkbox/likert field questions in multiple fixed or dynamic rows), image mark, file upload and EEG node selection. Branching/skip rules can be implemented on individual questions, groups of questions and fields within table-based questions. And if you need a new feature or application, we can develop it for you! VarTracker is an online tool for searching multiple public genetic variant databases, displaying genetic variant information merged from a variety of sources and alerting you when new information is available. The end-user can search for variants of interest based on a RefSeq ID and a cDNA change, and the tool will search and extract data from a variety of public databases, such as ClinVar, NCBI Gene, UniProt, dbSNP, NCBI Books, PubMed, MalaCard, MyVariant, gnomAD, ExAC, Mutalyze and ENSEMBL. The system will then re-check these variants regularly to see if any variant information has changed, and will alert you when there is new information available. CLIRINX provides sophisticated Artificial Intelligence (AI) tools for clinical research. Expert systems can be used to help with decision-making and solve complex problems in medical research. AI tools are computer applications that combine software and specialized information to imitate expert human reasoning and advice. We also have a knowledge base (KB) editor that allows you to define and store complex structured and unstructured information about a specific area of knowledge, called a knowledge domain. Whereas the expert system defines knowledge in terms of if-then rules, the knowledge base editor provides a curation tool where knowledge can be defined in terms of a hierarchy, attributes and facts. CLIRINX provides core IT expertise to academic medical research studies, including custom software development, informatics strategy and data management. We help clients achieve their goals in medical research by providing a range of informatics and support expertise to simplify the research process and deliver client projects on time while maintaining the highest quality standards. Expertise we provide include Project Management, Software Development, Training, Informatics Strategy, Data Migration, Neuroimaging Processing, Medical Record Processing and RedCap Consultancy. We are PMP certified by the Project Management Institute (PMI), and have years of experience managing complex IT projects across a broad range of industries. We are experts in a variety of PM methodologies, including waterfall and agile software development (and different flavors in-between). When it comes to managing your IT projects, we're considered the "safe pair of hands" to make sure your project succeeds spectacularly.